Kaya is a beautiful yarn from Crystal Palace. 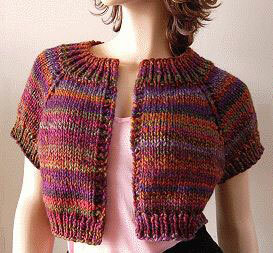 It is 100% wool and comes in lovely striated colors! This design is free from the Crystal Palace Website. Finished Measurements: 35.75 (39.75, 43.75, 47.75)". US 10.5 16" circular needles and 10.5 and 11 26" circular needles are required and not included.